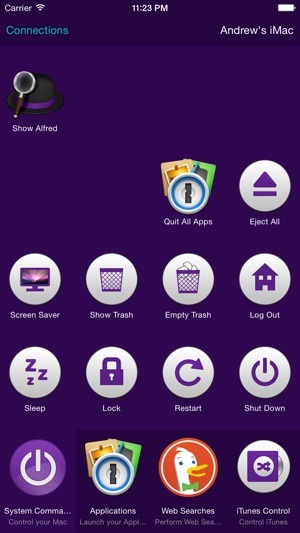 Alfred Remote is your personal command centre for Alfred 2 for Mac. Your iPhone or iPad now becomes a perfect day-long companion to your Mac; Whether at work or play, be more productive than ever! WHAT CAN I DO WITH REMOTE? - Connecting Remote to your favourite Alfred 2 Workflows gives almost limitless possibilities! 3. Open Alfred Remote on iOS to the 'Add' screen, "Looking for Alfred"
Your Mac and iOS device will now be securely connected, and the power of Alfred 2 will be at your fingertips, making you even more productive! 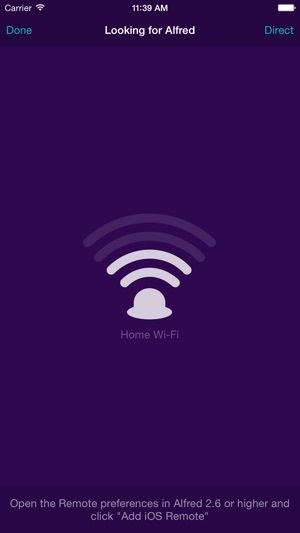 Alfred Remote is a counterpart app which requires Alfred 2 on Mac, and the ability to connect to it from your iPhone/iPad over Wi-Fi. 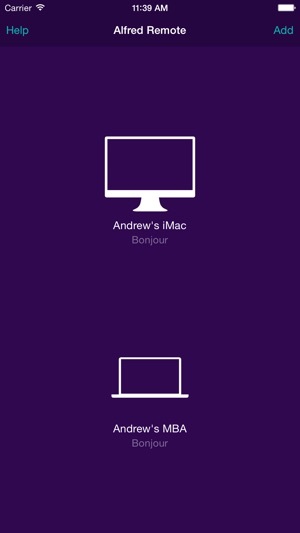 Take a look at http://www.alfredapp.com for more details about Alfred 2 for Mac and Alfred Remote. 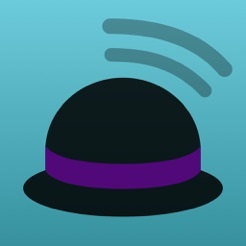 I know this app hasn’t been updated in a while, but it is a missed opportunity. The level of remote access that this has to my Mac could be used to do so much more. For starters, even having remote trackpad and keyboard and put on the phone or a presentation clicker mode would go along way to making this in your replaceable companion to the Mac Alfred experience. It takes some investment into the desktop app to really see the power of this app. 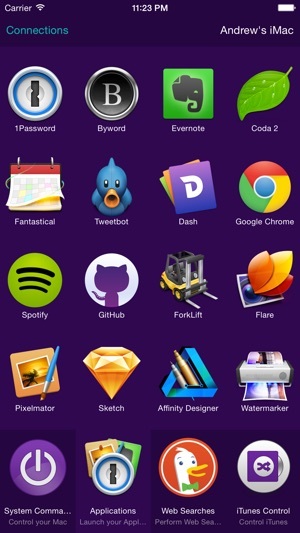 Anything that can be automated with Automator,scripts, or Alfred workflows can be triggered remotely from your phone. Connected right away, found some useful workflows — all great. Works as advertised.